How Rotary’s Four Way Test helps me confront or deal with the issue of failure? All student essays should be written about this topic. We felt this topic was particularly appropriate as recent studies are showing that the younger generation is experiencing spikes in anxiety and depression stemming from difficulty in handling adverse situations. We are hoping the Four-Way Test can be a resource for students as they confront these issues in the coming years. 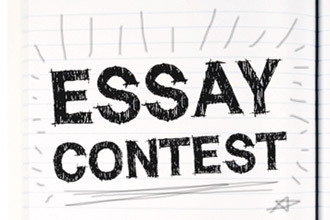 We are also planning to change the essay prompt on a yearly or bi-yearly basis to keep the contest fresh and relevant to students. The Following is some important background on the Four Way Test. The source for this information is “The Story of the Four-Way Test” By Herbert J. Taylor (the full text can be found at https://www.rotary5630.org/history-of-the-four-way-test/). We encourage you to go to this web site and read the full story in Mr. Taylor’s words. Mr. Taylor applied this test to every aspect of the way the company conducted business and his company ended up thriving, not only paying off all of its debts, but also paying dividends to its shareholders. From the depths of failure came an ethical test that is still applied over 85 years later. Write an essay about your personal experiences and attitudes toward failure – whether it be an actual failure or perhaps a fear of failure that stops you from pursuing a goal or dream, how might Rotary’s Four Way Test help you confront or deal with the issue of failure? Format: Microsoft Word format will be used. The essay must be prepared for printing on white paper, size 8.5 X 11.0. The font will be either Century Schoolbook, Arial, or Times New Roman. Print size will be 12 point. Do not insert identifying information on any sheet except the cover sheet. Lines will be double spaced. Do not insert graphics. Number of Copies: Essays (with cover sheet) should be e-mailed to the Rotary District 7390 Office - office@rotary7390.org. Club chairs without e-mail capability should mail their winning essay to the district office. Essay Length: The essay must not exceed 1500 words in length. Cover Sheet: A cover sheet must be attached to each essay. See the attached format for the Cover Sheet. Original Work: The essay must be the original work of the student submitting the essay for competition. Team writing and the use of work written by other sources, even if foot-noted, is not authorized. Participating students will sign the pledge on the cover sheet stating that the essay is their original work. Agree to sponsor the contest. Identify and contact the lead English teacher for the ninth grade class(es) in the public and private schools in your geographic area. Also consider home-schooled students. If there is a resource or point of contact that is a source of information for home-schooled students, consider reaching out to these students, as well. Appoint a committee to evaluate the best essays submitted from the students submitting essays. Consider either having the schools submit the essays to you through a contact teacher or have the students submit their essays directly to you. Select the Club winner(s) and submit the first place essay(s) to the District office by February 18, 2019. Recognize the Club winners, parents and teacher(s) and award certificates/prizes at the discretion of your Club. Provide cash awards for the District winners. Appoint a committee to evaluate the winning essays submitted by the Clubs and select the District winners. Invite the winners, their parents, and teachers to the District Conference where prizes will be awarded to the top three students and the winner will present the winning essay. Display the winning essays on the District website. Below is a suggested calendar for you to use in the conduct of your contest. The dates and times in bold are critical dates that must be complied with. The remainder are suggested time deadlines but your club can exercise discretion in how it conducts its contest and chooses its winner that is submitted to the district contest. Fall 2018 - Organize your Club’s contest. Set deadlines, recruit a judging panel and introduce the Contest to the schools (public, private and home-schools). Find a point of contact at the school who will work with you to introduce the contest to ninth graders. January 2019 - Set a deadline at some time in this month for student submission of essays to your Club. Early February 2019 - Pick a date (preferably prior to February 18) to honor your Club’s winning essay writer(s), his or her parents and teacher. Be sure to space the deadline for essay submissions and the Club meeting to give yourself, and your judging panel, sufficient time to evaluate the essays and notify the winner(s). February 18, 2019 - Last date for essays to be submitted to District Office. March 27, 2019 - District Four-Way Test Committee announces District winners. April 12/13, 2019 - District Conference – Winner reads his/her essay. The Four-Way Test Essay contest in District 7390 was initiated in 2006-07 by the Rotary Club of Mechanicsburg-North in the 9th grade at Cumberland Valley High School. The winner of their 2007-08 contest presented her essay at the District Conference and was well received. The 2008-09 District Governor challenged other Clubs to have contests in their local schools and agreed that if multiple Clubs did have contests, he would have their winners vie for District honors and prizes. While only 3 clubs participated in 2009, the number has gradually increased each year. The first place winner presents their essay at the District Conference.